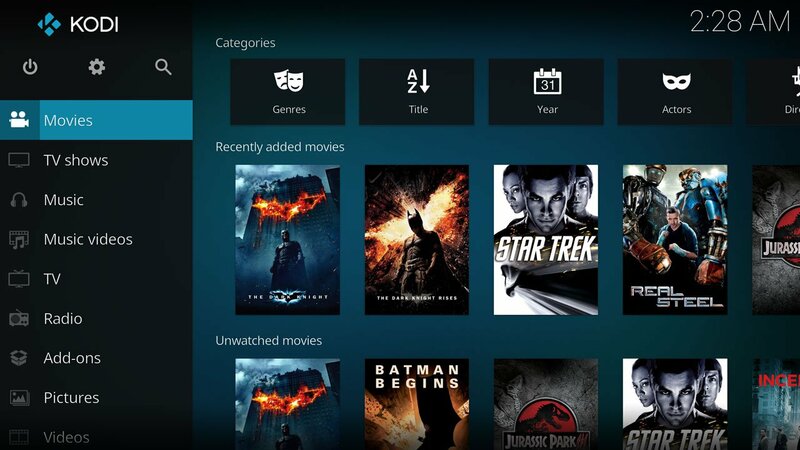 In this short guide, we’re going to show you how to make Kodi full screen. This guide is primarily for Windows 10, however the steps should be the same for Windows Vista, Windows 7 & Windows 8. If you can see your task bar (the bar with the windows button on) when opening Kodi, or the top bar (where the close, minimise and maximise buttons are), this guide is for you. It will show you how to make Kodi Full Screen and hide the task bar and menu bar. The first method which we can try out to make Kodi Full screen is using a keyboard shortcut. With the Kodi software open, press the following keys on your Keyboard. Hold ALT in the bottom left of your keyboard, then press ENTER. This should make your Kodi full screen, hiding the bottom task bar and top menu bar. You can use this keyboard shortcut on most other software, allowing it to go full screen. If this method didn’t work, try the one below. So if the above method didn’t work with the keyboard shortcut, Kodi has an implemented feature that will allow you to choose between Windowed and Full Screen. These steps are for the Estuary skin, which is the default skin that comes with Kodi Krypton (V17). Open Kodi, and open System Settings by pressing the cog icon in the top centre of your home screen. Choose “System Settings”, found in the middle row towards the far right. Set the option to “Full Screen”. Move away from this menu and Kodi will go full screen!